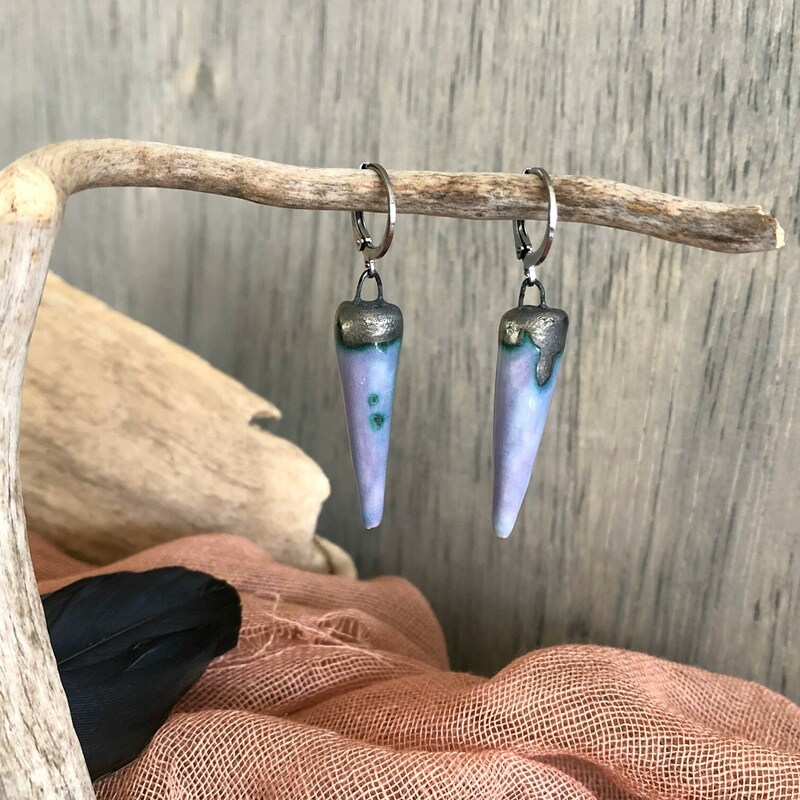 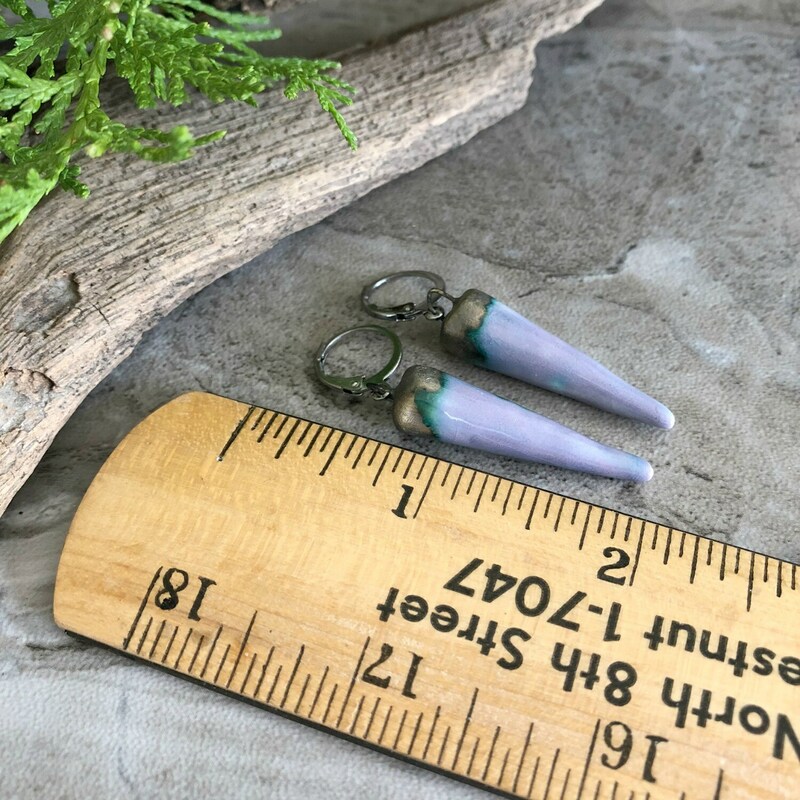 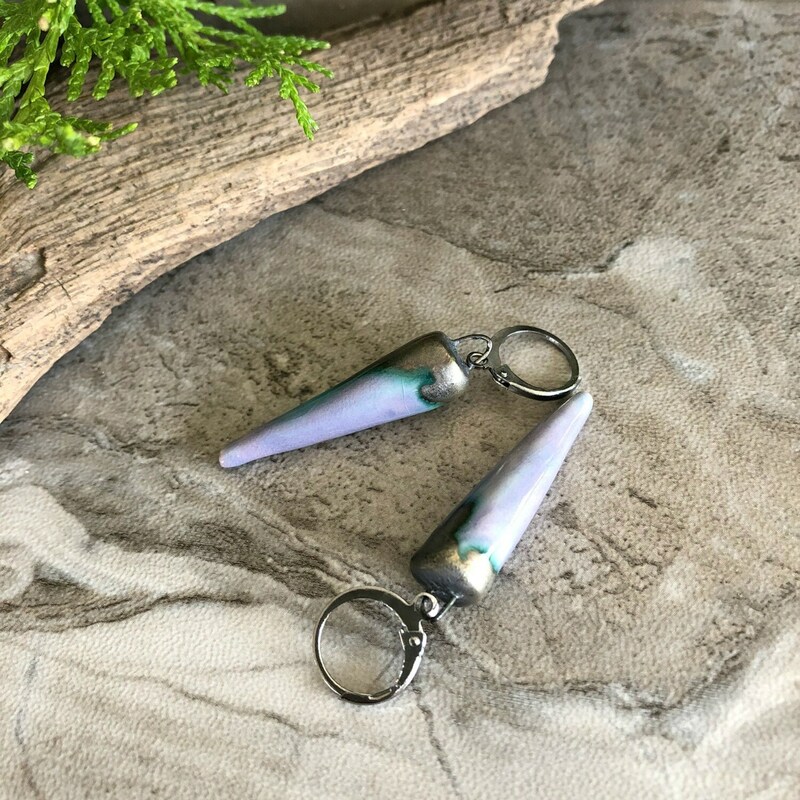 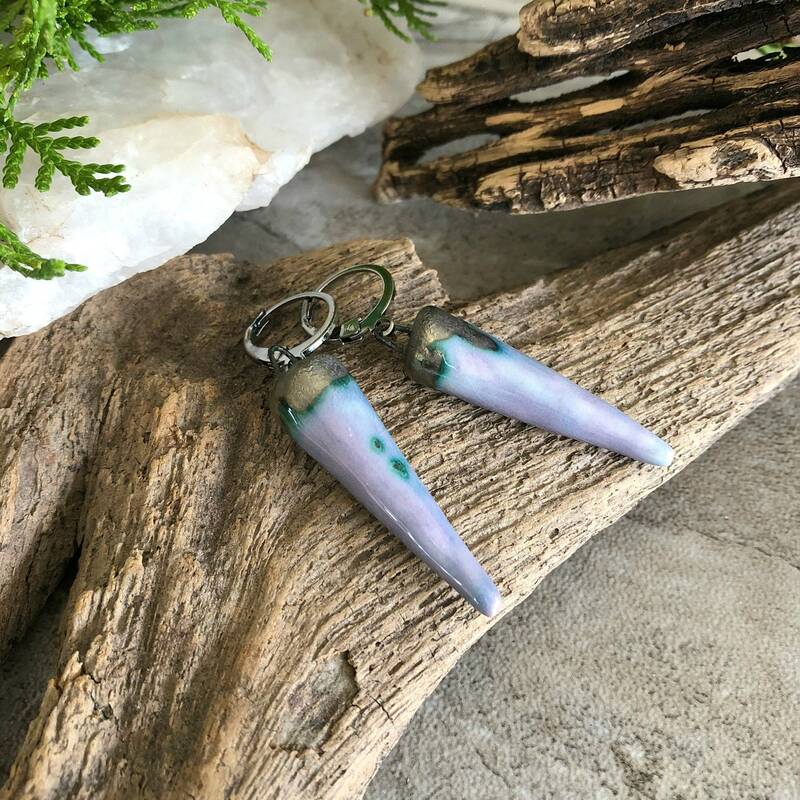 Earring Dangles | Made up of two ceramic porcelain spikes, this lavender earthen stoneware jewelry drops from stainless steel lever backs and a simple loop. 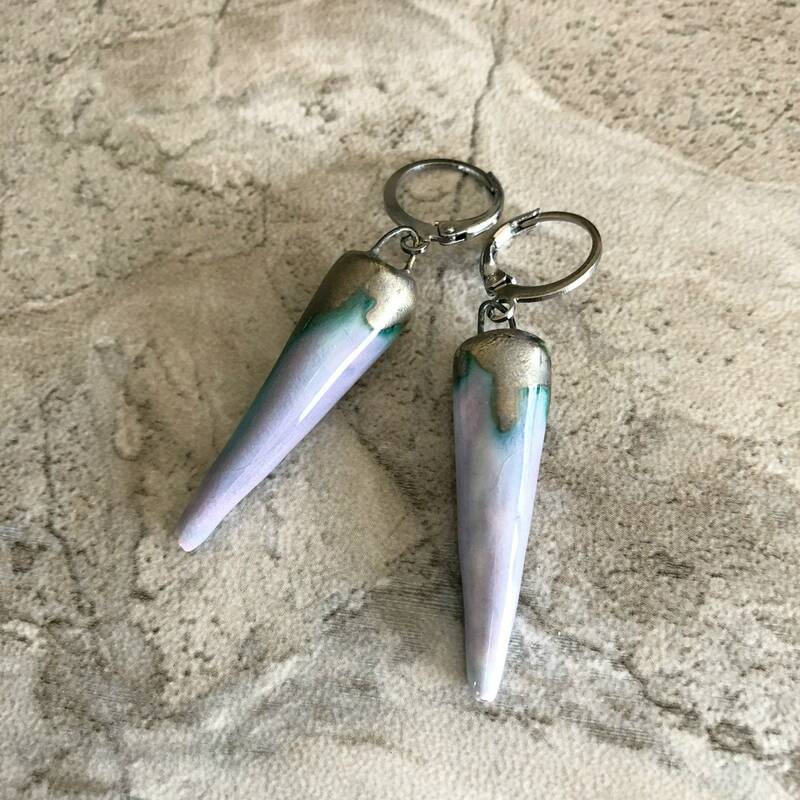 This stoneware was hand cut and hand glazed. 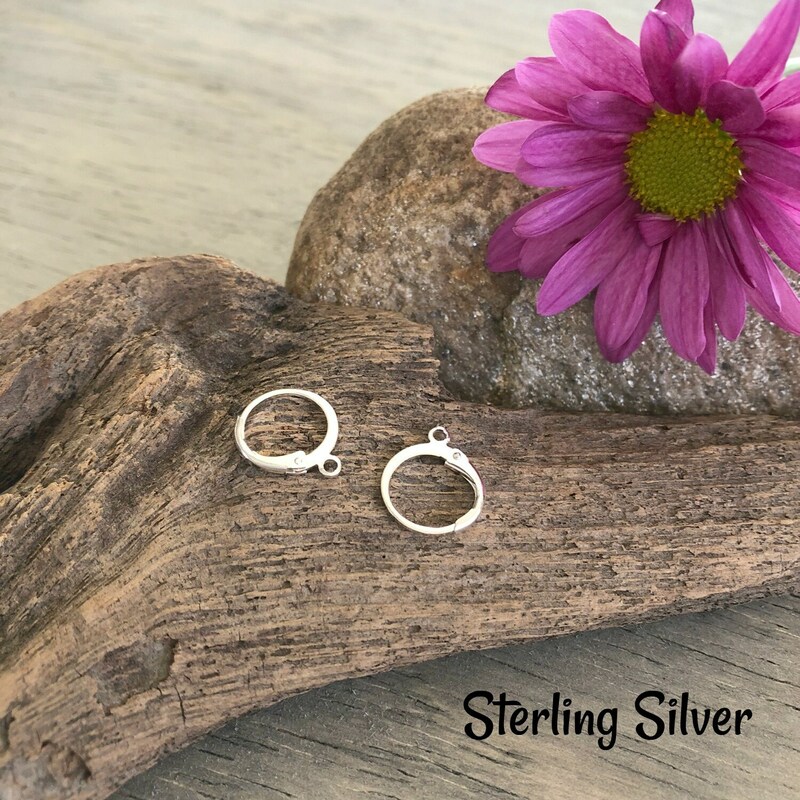 They are perfectly imperfect!